Following a competitive tender process, PACT was awarded the contract to construct the new community facility in Beckenham. 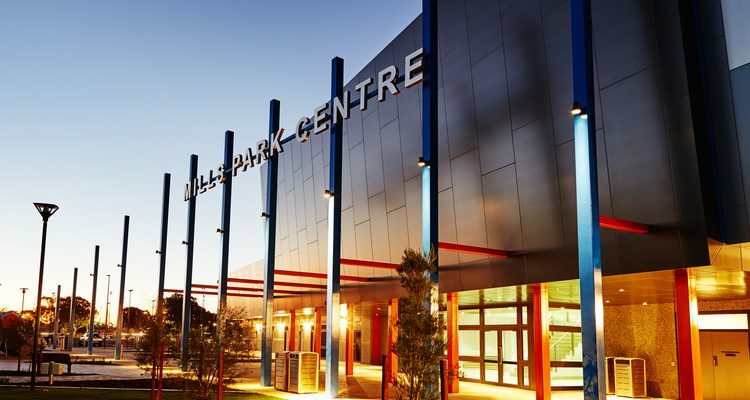 This mixed-use facility has become the cornerstone of the ambitious 24-hectare Mills Park redevelopment currently being undertaken by the City of Gosnells. The redevelopment has seen the community facility integrated within new grounds including community piazza areas, skate park and nature play areas as well as redeveloped sporting facilities. In keeping with PACT’s quality craftsmanship, there are high level finishing’s to all areas, including feature concrete precast wall panels to ground floor areas alongside highly polished feature concrete precast columns. The upper level sees the use of aluminium composite cladding and full height glazing, along with stainless steel balustrades and sun smart screening. The building also includes architecturally finished steel columns and screening. tiles, has created durable and contemporary spaces for the community and staff of the building to occupy. Importantly, all materials have been selected to conform with green certification requirements.